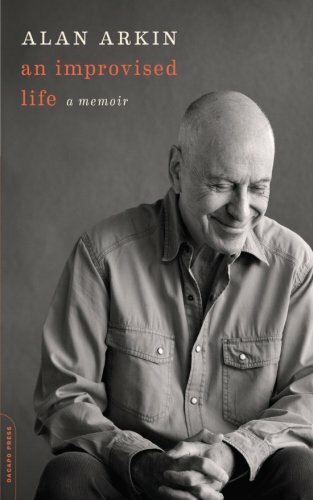 Alan Arkin can be called an actor’s actor. He is immersed in the craft of acting, and he has been since childhood. He knew at age five that he wanted to be an actor and by age seven was discovering techniques of good acting that many performers don’t learn until they are well into their careers. For example, he tells of watching movies and realizing that the actors were not talking to each other, but rather focusing on some unseen audience in the distance. Even as a child, Mr. Arkin sensed the artificiality that this lack of focus creates. Mr. Arkin’s autobiography is not the “and then I said” recitation of triumphs that often fills the pages of a star’s memoir. Instead, Arkin sits down with his readers and talks—simply and directly. His focus is almost always on the art rather than on the artist. In addition to sharing what he has learned in his long theater and film career, Mr. Arkin tells how the knowledge can be applied as viable actors’ techniques. He communicates his philosophy and principles of acting articulately and clearly. His easy-going prose is entertaining to any reader, but to those with a deeper interest in theater, the book contains valuable gems. Mr. Arkin’s love of his art form has led him to both directing plays and teaching theater improvisation workshops. The workshops, he states, are not acting classes. They are rather places where people, both actors and non-actors, can be free and honest with each other—where they can be themselves. This, according to Mr. Arkin is one of the essential ingredients of good acting. He describes auditioning actors and telling almost all of them, “That was very interesting, very good. Now try it again without the acting.” Those sentences should be copied into every actor’s notebook and posted on the wall in every acting class.